Not to be confused with Reisen or Udonge Tree. 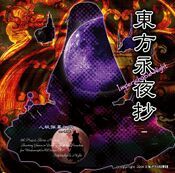 Reisen Udongein Inaba (鈴仙・優曇華院・イナバ) is one of the legendary moon rabbits who fled from the Moon to Earth as a refugee from the "Lunar War" between the two worlds that began in 1969 A.D. after the Apollo 11 "invasion". Making her way to Gensokyo, she was surprised to meet the notorious fugitives Kaguya Houraisan and Eirin Yagokoro, and asked for asylum in Eientei. In exchange, she works for and protects Kaguya and Eirin. Reisen first appeared as the Stage 5 boss Imperishable Night and later became playable in Phantasmagoria of Flower View, Scarlet Weather Rhapsody, Legacy of Lunatic Kingdom and the PlayStation 4 version of Urban Legend in Limbo. She also appears in many manga comics such as Silent Sinner in Blue, Cage in Lunatic Runagate and Inaba of the Moon and Inaba of the Earth. Perhaps ironically given her insanity-inducing powers, Reisen seems to have one of the more stable and balanced personalities in Gensokyo. Throughout the Touhou Project, she is always referred to as a moon rabbit. 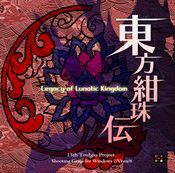 However, in Legacy of Lunatic Kingdom, only someone with impurity can confront Junko. Reisen realizes that living on Earth for too long has tainted her with impurity, thus allowing her to save the Lunar Capital. Knowing that she can no longer return to being a moon rabbit again, she now proudly proclaims herself to be an earth rabbit of Gensokyo. Reisen has the ability to sense and manipulate waves of all kinds, localised in her "Lunatic Red Eyes". Her signature use of this ability is manipulating brain waves through eye contact, allowing her to induce madness or hallucinations depending on the strength of her opponent's will. By increasing the frequency of brainwaves she can make a person short-tempered and irrational, or by reducing them can leave her target apathetic and depressed. Reisen can also manipulate light and sound waves to deceive the senses indirectly, from concealing the paths of her danmaku, to creating after-images of herself, to casting wide-area illusions that cause people to get lost. Finally, she is capable of releasing waves from her eyes in a destructive blast. Reisen is immune to the abilities of the Three Fairies of Light (seeing an invisible Sunny Milk, hearing a silent Luna Child, and escaping Star Sapphire's detection) since they are based on waves, though she seems unable to replicate Star Sapphire's abilities with her own. Moon rabbits can send "ESP waves" and receive them with their ears, forming a sort of psychic network where they share feelings and rumors. Reisen can still participate in this network despite the physical and spiritual distance between Gensokyo and the Moon. Reisen has been depicted transmitting ESP waves from her eyes, but it is unknown whether this is the usual method or an example of her general wave manipulation abilities (or indeed, if her wave manipulation is just an advanced form of this ability). 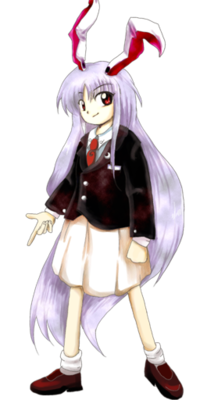 Reisen, as illustrated in Perfect Memento in Strict Sense. Her full name is Reisen Udongein Inaba (鈴仙・優曇華院・イナバ), which is often abbreviated to Reisen U. Inaba (鈴仙・Ｕ・イナバ). Originally, her name was written in katakana as "Reisen" (レイセン), but in order to blend in on Earth, she changed the spelling to "Reisen" (鈴仙) and adopted the surname "Udongein" (優曇華院) from Eirin Yagokoro. Note that "gein" is pronounced the same way as the English word "gain"; her name should be written as "Udonge'in" in romaji, and possibly as "Udongeïn" in French. 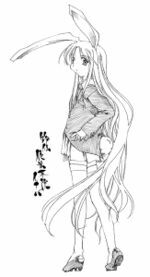 "Inaba" (イナバ), drawn from Tewi Inaba, is a name Kaguya Houraisan uses for all the rabbits in Eientei as she has trouble distinguishing between them. In canon, Eirin Yagokoro is the only one who is allowed to call Reisen by the name "Udonge" or "Udongein", though she also calls her "Reisen" from time to time, particularly when she is not present. 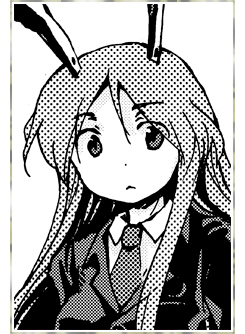 Kaguya is seen to use both "Inaba" and "Reisen". The characters for Reisen literally mean something like "bell hermit", and Udongein "house of plantain flowers". Titles ending in 院 ("-in") were typically granted to Japanese noblewomen in their old age to indicate their special contribution to a temple or their high place in society, and carry a sense of great nobility and culture. This title is similar to posthumous names, called ingou (院号); examples include Kenreimon-In and Taikenmon-In. There are several theories of where the name Reisen came from. reisen (醴泉), meaning "spring of sweet water" - some say that this was the source of the immortality elixir in the Chinese legend of Chang'e. reisen (霊蟾), meaning "spirit toad", but which due to a confusion led by the kanji is now used to refer to moon rabbits or the Moon itself. reisen (冷戦), meaning "Cold War", the time at which human exploration of the Moon started. (see the notes on Reisen's spell cards). reisen (零戦, also called as zero-sen), meaning "Zero-Fighter", as in the Japanese Navy designation for the famous Mitsubishi A6M Zero fighter plane, which may be a reference to Reisen's military background (see also Imperishable Night/Music). However, this name connection has been stated to be irrelevant by ZUN in Strange Creators of Outer World. Incidentally, in German reisen means "travels" or "voyages" as well as "to travel". There is also a species of rabbit known as the Deutsche Riesen (German), but this origin is generally thought unlikely. More loosely, reisen is a definite singular for reise in Norwegian, which means "journey" or "trip". 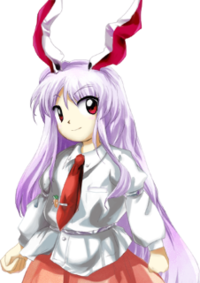 In Imperishable Night Reisen has red eyes, long light-purple hair and long rumpled rabbit ears - like all members of the Lunar Defense Corps, her ears stand up straight and are decorated with two accoutrement-like buttons. Her outfit consists of a long-sleeved black business suit over a white shirt, along with a beige skirt, white socks and red shoes. Her left lapel is decorated with a crescent moon-shaped insignia, and a pocket square in her left shirt pocket. 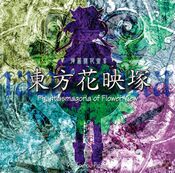 In Phantasmagoria of Flower View Reisen's jacket is removed and she wears a purple skirt. There is a clip on her necktie in the shape of a carrot, identical to Tewi Inaba's. Her alternate outfit makes her shirt black and her tie yellow. In Scarlet Weather Rhapsody, she wears a short-sleeved white shirt, a red belt and a blue skirt. Her alternate outfit gives her a dark green dress, ears and eyes, and a light green shirt and hair. In Legacy of Lunatic Kingdom, she wears the same short-sleeved shirt, but with a violet belt and a light red skirt. In Urban Legend in Limbo, she wears an outfit similar to her previous playable appearance, with the exception of her skirt, which now has a white horizontal stripe near the bottom of the skirt, and her belt, which is now red. The carrot-shaped necktie clip is larger compared to her previous one. Her hair now reaches past her legs and her socks are now unfolded and reaches her knee. Her tail is noticably large in her artwork in the game. Reisen's début was in Imperishable Night as the stage 5 boss. Here, Reisen hid within Eientei to avoid any lunar emissaries that might arrive on Earth and force her to return to the Moon. She was tasked with sealing the doors inside Eientei to ensure that Kaguya Houraisan could not be found by the emissaries either. She used her power of insanity to stop the heroines from invading Eientei, but was defeated. Reisen's power of insanity comes from her eyes; she uses them to refract and twist waves, disorienting and confusing her victims and deceiving them with frightening illusions. Unfortunately for Eientei, she forgot to seal the door that Kaguya was hiding in, and thus the heroine was able to enter it. 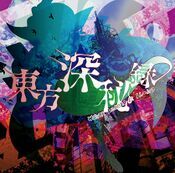 In Phantasmagoria of Flower View, she worries about Tewi Inaba running off and seems more level headed than most other characters. Although she doesn't know what's causing the flower incident, she's decided to investigate by going wherever the flowers are blooming. Reisen returns as the fourth playable character in Legacy of Lunatic Kingdom. When playing as her, she can shoot white bullets upwards and have purple bullets spread as a wide shot. If focussed, all her bullets will shoot directly vertical. She has eyes and surround her to shoot the purple bullets, and if her power increases, she can shoot more bullets. Her bomb is unique that, rather than turning invisible and damaging enemies, she'll instead have three red wings around that that, basically, gives her three extra lives. If all lives aren't used by the end of the stage, then the bomb will end. In her scenario, like her human allies, Reisen is given the Ultramarine Orb Elixir by Eirin Yagokoro and she was ordered to travel to the Moon and stop the incoming invasion from the Lunar Capital. She knew how to get there; use the Dream World. After taking care of Seiran and Ringo on the Youkai Mountain, she bumps into Doremy Sweet in the Dream World. After defeating her, she finally makes it to the Lunar Capital, realising that the place is empty. There, she encounters Sagume Kishin, who after tests her ability, gives her a new mission to save the Lunar Capital from its own invaders. This is why the capital is invading Gensokyo. Due to her impurity, she is able to confront the one behind the incident. She flies over the Sea of Tranquility and takes care of fairies from Hell, including Clownpiece. She then confronts Junko, the one Eirin and Sagume wanted Reisen to take care of. Eventually, she is finally defeated. In the Extra stage, the lunarians have yet to return from the fake capital in the Dream World; this is because Hecatia Lapislazuli kept them sealed away. After fighting her along with Junko through a long battle, they were finally defeated. In Shoot the Bullet, Aya Shameimaru encountered Reisen on stage 4 and took photos of her danmaku. 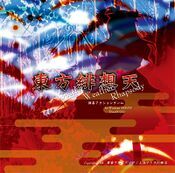 During the events in Scarlet Weather Rhapsody, she appears in the Scarlet Devil Mansion to ask questions but is beaten by the furious Mistress. Later she inquires into the fate of the Hakurei Shrine and asks if the earthquakes are still going on. 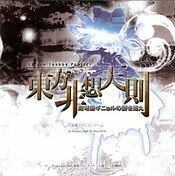 Failing to find clues, she later goes to Hakugyokurou to check its condition and to ask Yuyuko Saigyouji about the Shrine's destruction. She tells her about the "completion ceremony" of the new shrine, but when she goes there, the shrine is destroyed. She also meets Yukari Yakumo, who forbids her to investigate the shrine. Some time after the battle with Yukari, Tenshi Hinanawi suddenly appears and tells Reisen that earthquakes are just "fine". If connecting SWR with Touhou Hisoutensoku, then Reisen can become a selectable character to play with, although she appears in no scenarios. Reisen made a background cameo appearance in Hopeless Masquerade on the Human Village stage. She is seen sitting with Tewi Inaba, Eirin Yagokoro, and Kaguya Houraisan, waking up Kaguya who falls sleep from time to time. Reisen made her return in the PlayStation 4 version of Urban Legend in Limbo as a console-exclusive character. 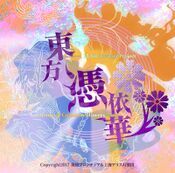 Her story focuses on the events after Legacy of Lunatic Kingdom. Her urban legend is "Kunekune". Kaguya and Eirin took in Reisen when she fled from the Moon. Reisen's current master. Eirin has employed Reisen's telepathic abilities to gain intelligence on the Lunar capital. She also sends Reisen to the Human Village to sell her medicine. Reisen helps Tewi manage the rabbits at Eientei, though Tewi's carefree nature seems to bother her. Watatsuki no Toyohime and Watatsuki no Yorihime were Reisen's former masters before Reisen fled to Earth. Despite her desertion, both sisters fondly miss her. In Legacy of Lunatic Kingdom she's shown indication of already knowing Seiran and Ringo, two moon rabbits, although little of their relationship with her is known. She seems to also serve under Sagume Kishin, referring to her as "Lady Sagume (サグメ様, Sagume-sama), who is willing to do any order given by her. 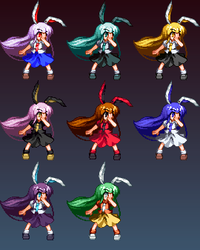 Reisen's Palettes from Touhou Hisoutensoku Top to bottom and left to right: Original color, Miku Hatsune (also SWR P2 color), Rin and Len Kagamine, Luka Megurine, Meiko, Kaito, Gakupo Kamui, and Gumi. Reisen's right hand is often depicted to be making a gun shape, which leads to fan assumption that she shoots danmaku in this manner, and she indeed does in Scarlet Weather Rhapsody. Some fans even depict Reisen holding an actual handgun in artwork. 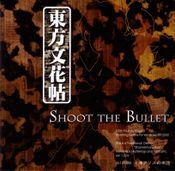 Those are all based on ZUN's word that her normal shots were modeled after a bullet. The revelation in Silent Sinner in Blue that all Moon Defense Corps Rabbits are drilled with rifles suggests that Reisen can also use the real thing. In Legacy of Lunatic Kingdom she is effectively seen holding what seems to be a bunny-themed handgun. Same goes for the PlayStation 4 version of Urban Legend in Limbo where she is seen holding a rifle, complete with a magazine, that resembles her bunny-looking handgun. In both Urban Legend in Limbo and in Antinomy of Common Flowers, the handgun is seemingly able to transform into several different variants, including an automatic rifle and shotgun. Reisen is also seen dual-wielding the handguns in some attacks, so it's likely she has more than one. It's unknown whether she took them from the Lunar Capital when she fled or if somebody else made them. Reisen's alternate outfit in Scarlet Weather Rhapsody and Touhou Hisoutensoku is a homage to the Vocaloid Miku Hatsune. Her other alternate outfits in Hisoutensoku are also homages to fellow Vocaloids Rin and Len Kagamine, Luka Megurine, Meiko, Kaito, Gakupo Kamui and Gumi. In her official profile of Legacy of Lunatic Kingdom, despite Reisen being a moon rabbit, she is marked as a human. This was stated to be an error by ZUN on the 28 May 2015 session of Nikenme Radio. A rabbit who lived on the moon. In her eyes dwell far greater power of insanity than the rabbits of the earth. She is currently living as Kaguya's pet. Her real name is only Reisen (レイセン, in katakana), but in order to masquerade as one who comes from the earth, she adopted the ateji 鈴仙 for "Reisen." However, it was quite artificial. Udongein is a pet name that Eirin gave her. It is unknown why she calls her that. Furthermore, she affectionately calls her "Udonge." To arbitrarily give her a pet name simply to abbreviate it - aliens' ways of thought are hard to understand. "Inaba" was the pet name that Kaguya gave her. In fact, calls all rabbits "Inaba." Whenever Kaguya says Inaba, she does not distinguish her from Tewi, and it seems that she really doesn't distinguish between them in any case. Perhaps to her, all rabbits are the same. 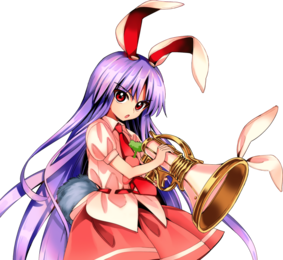 Reisen is a rabbit of the moon who fled the moon when people of earth began invading it. More information about that is available in Kaguya's profile. A rabbit from the moon. In her red eyes dwell far greater power of insanity than the rabbits of the earth. Flowers are blooming all over Gensokyo so the rabbits of Eientei went into an uproar. This couldn't be left uninvestigated, so she went out to investigate. While she's at it, since Tewi disappeared, she's also going to bring her back if she can. It's common knowledge that light is made of waves, but there's more to sight than just that. Space itself is waves, and the creatures, things, and of course, light in it are also all made of waves. Naturally, the thoughts and feelings of living things also consist of waves, and their wavelengths determine personalities. Reisen can tamper with these waves. Short wavelengths induce madness, and long wavelengths induce an easygoing nature. And, if you completely invert the waves' phases ... she can completely disappear from her opponent's perception. Personality: Both carefree and crazed. Is a different person in battle. Since she is not originally a creature of Earth, she cannot get along with humans very well. She can change her personality completely to match her circumstances. Though she has never been friendly, she sometimes shows her dumb side just like Reimu. to being a moon rabbit, she has the ability to talk among the rabbits at ultra-long distances. A moon rabbit living in Eientei. She felt some disquiet in regards to her orders this time. Why would Eirin request help from humans, in addition to just her? Perhaps there was something going on that only humans could see. The Ultramarine Orb Medicine held the power to experience the future. This medicine was a secret elixir known to everyone living in the Lunar Capital. even more light of insanity." An ex-moon rabbit who can manipulate insanity. Tonight, Reisen is hardly herself. Anyone in Gensokyo would be shocked to see her now. Reisen's most unique trait is her insanity-manipulating Urban Legend, the "Kunekune." When opponents see the Kunekune and descend into madness, that's her big chance. ↑ Touhou Hisoutensoku spell card description: Red Eye "Viewing the Circle Moon (Lunatic Blast)"
↑ Each of Reisen's spell cards has two names: a kanji expression and its "pronunciation" in katakana. For example, the first one listed can simply be called Wave Sign "Mind Shaker". This page was last edited on 3 January 2019, at 22:56.